Short posts about the Humanist philosophy designed to encourage people to live ethical lives of personal fulfillment that aspire to the greater good of humanity. It doesn’t matter how well intentioned you are. If you can’t solve your problems effectively, you may be doing more harm than good. 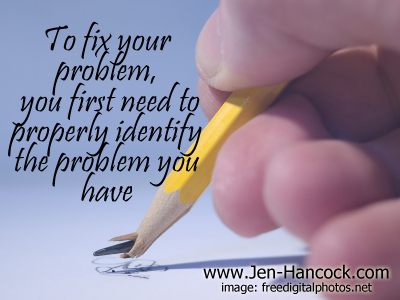 Having a system to solve your problems will help ensure you problem solve effectively. What I find interesting is that these are the same steps that are followed when using a critical thinking approach to problem solving. And these are the same steps I teach my clients. Define and Identify the Problem - If you don’t know what problem you are trying to solve or if you try to solve the wrong problem you won’t be successful. Find out what the facts are and not only develop a statement about what exactly the problem is you are trying to solve, but what your goal is in solving it. Analyze the Problem – Don’t assume you know what is causing the problem. Do your research and find out if your assumptions are valid or not. This is what freethought, skepticism and science is all about. Evaluating Solutions – what are the pros and cons of each proposed solution, will this really solve our problem, or make it worse. Selecting the Best Solution – After evaluating your possible solutions and ranking them as you need to choose the one you think has the best chance of success that will help you accomplish the goal you set in task 1. If none of the solutions will work, you need to re-evaluate how you defined the problem and go back to step one taking into account what you have learned through this process. No, this isn’t a pain, it is what is sometimes required if you want to actually solve your problem. Develop an Action Plan – what tasks need to be done, who will do them, when do they need to be done, what could go wrong and how will you get around problems, who can help you, or can you do it yourself? Implement the Solution - Now that you have a plan – get to it and start implementing it. If you need to change it, do so, but if you don’t take action, the problem isn’t going to get solved. There ain’t nothing to it but to do it. Which part of the process do you have the most trouble with? I know that I take extra time to make sure I define my problem properly. If I can get that step right, everything else seems to follow. Albert Einstein said that he spent 90% of his problem solving on that step as well. Do you agree? What do you think is the hardest or most important part of problem solving? Humanism is a highly effective approach to human development. It is as much concerned with personal development as it is with social responsibility. It is probably the most humane and holistic approach to ethical philosophy humanity has ever devised. If you would like to use some of my posts in your blog or newsletter, you may do so under the following license. Happiness Through Humanism by Jennifer Hancock aka Jen the Humanist is licensed under a Creative Commons Attribution-NonCommercial-NoDerivs 3.0 Unported License. Based on a work at http://humanisthappiness.blogspot.com/. Permissions beyond the scope of this license may be available at http://www.jen-hancock.com. Copyright 2011 by Jennifer Hancock. Picture Window theme. Theme images by enjoynz. Powered by Blogger.